With the recent popularity of quinoa, we decided it was time for our family to test out a simple quinoa side dish to see if it was a replacement for rice in our diets that we could enjoy. This simple yet tasty Cilantro Lime Quinoa is what resulted from our experiments and has become a favorite with our Chicken Verde dish. This post contains affiliate links. I may earn a commission for purchases made through these links. Quinoa side dish recipes are all over the place, and many have amazing flavors and textures. We love cilantro lime rice with our favorite chicken burrito bowls, so I was hoping this would be a good substitute. I was pleasantly surprised with the flavor and texture it provided. We do have to account for it closely in our daily calorie allowance because unlike grains it is very calorie and protein dense. It is an excellent source of healthy proteins and great for those needing the extra bulk in their diet or who cannot have traditional grains. Ideal for a diabetic diet or low-carbohydrate/ketogenic diet. 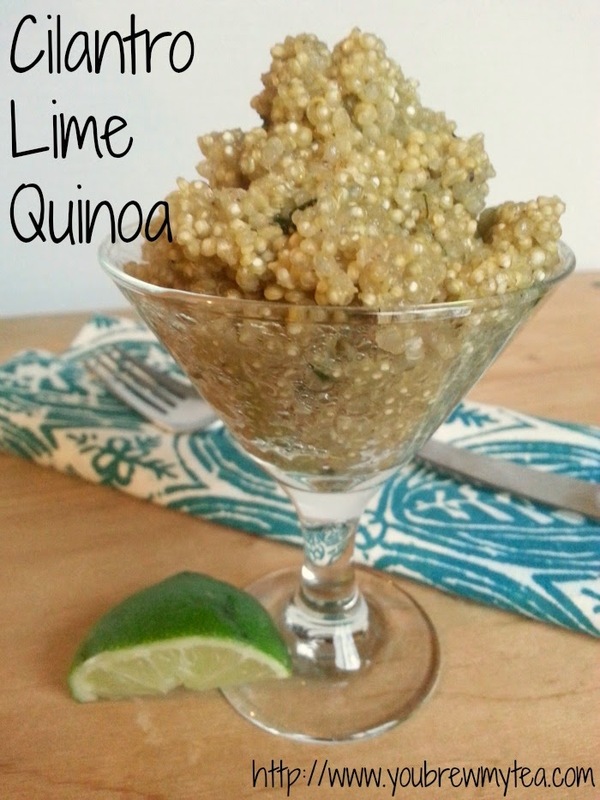 I used BetterBody Foods Quinoa for this recipe. It is my personal favorite brand, but you may find one you like better. I like the mixed quinoa or regular white quinoa better than straight red pearl quinoa for texture and flavor. Another note to remember when making this quinoa side dish recipe is the fact that it is important to rinse the quinoa well before cooking. It just makes the texture better overall. Rinse Quinoa in warm water to remove any residue. Drain. In a large stockpot, bring all ingredients except for cilantro to a boil. Reduce heat and cook on medium heat for 16-20 minutes stirring occasionally. The consistency of Quinoa will be soft but still chewy. Remove from heat and mix in cilantro. Cover and let stand for 5 minutes before serving. There really is no big mystery on how to cook Quinoa. It is like many other grains that are used as bases to your meals. It adapts easily to the flavors you add to it. This quinoa side dish is light and easy to pair with many Mexican flavors, but you can truly adapt quinoa to whatever flavor profile you prefer. I love cilantro and will put it in anything. I found you over at theTwo Cup Tuesdays link party. I host Tickle My Tastebuds Tuesday and would love it if you linked up this recipe. I’m sure our party goers would love it as much as I do. Here is the link http://bit.ly/1jlh94r. Have a wonderful day! !